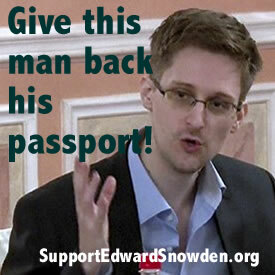 Secretary of State Kerry: Reinstate Edward Snowden’s passport! Freedom to travel requires a passport. It’s a basic principle. 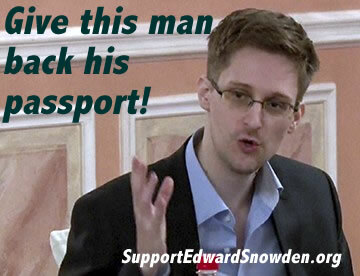 Ed Snowden didn’t get the due process he deserves. Feel free to add your own comment. 67107 2.8 years ago Paul Stelhe San Francisco, CA , US You guys are using an outdated law to prosecute this guy. Just stop. 67102 2.8 years ago Margaret Galletley Lake City, IA , US He should be protected by the American people for the brave acts he did. He will someday be referred to as a hero.